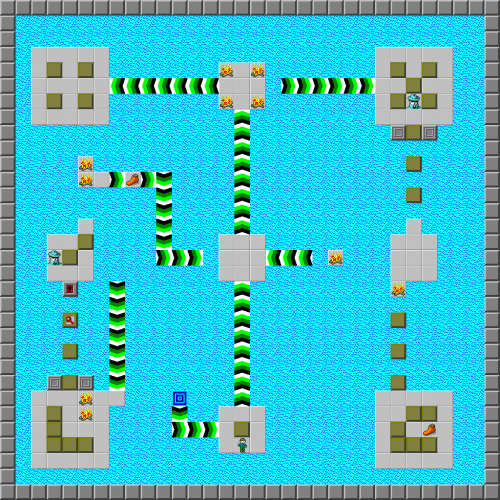 Metal Harbor - The Chip's Challenge Wiki - The Chip's Challenge Database that anyone can edit! 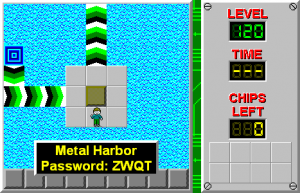 Metal Harbor is the 120th level in Chip's Challenge Level Pack 1. It was created by Tyler Sontag. The title and the level were inspired by the video game Sonic Adventure 2, in which one of its levels has the same title. Metal Harbor contains a minor bust in the Lynx ruleset, as Chip can spend one of his 5 blocks from the thief island at (24, 17). This allows a block slap off the fire tile at (25, 18), which results in there being an extra block. Unfortunately, the lack of boosting and the forced splash delay keep Lynx from being faster in spite of this bust.